Graefe's cataract knife, stainless steel, c 1950s. 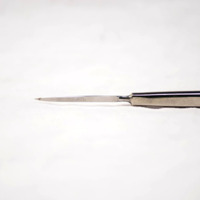 This small knife was used during a cataract operation to cut into the cornea, the outer transparent part of the eye. The knife was designed by Albrecht von Graefe, a Prussian ophthalmologist during the 1800s and manufactured by John Weiss & Son of London. 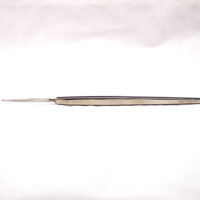 John Weiss & Son, Ltd.; 1787-; Surgical instrument makers, “von Graefe's Cataract Knife,” Heritage, accessed April 22, 2019, https://heritage.rcpsg.ac.uk/items/show/173. 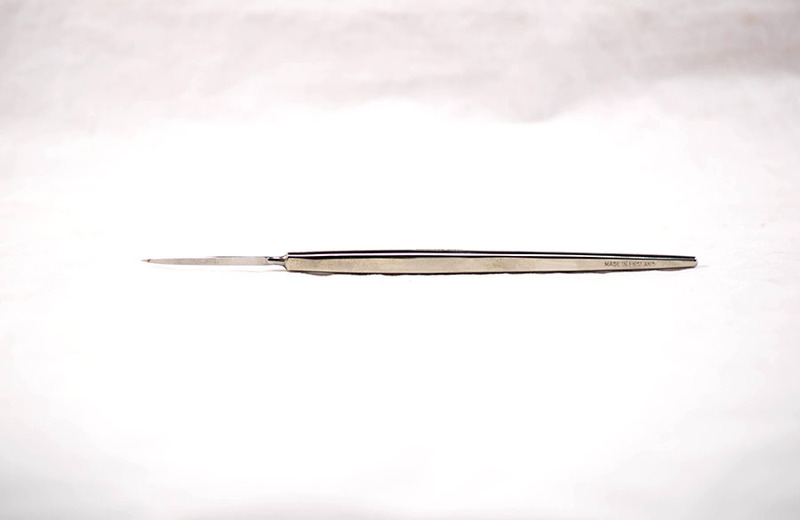 Description: Graefe's cataract knife, stainless steel, c 1950s. 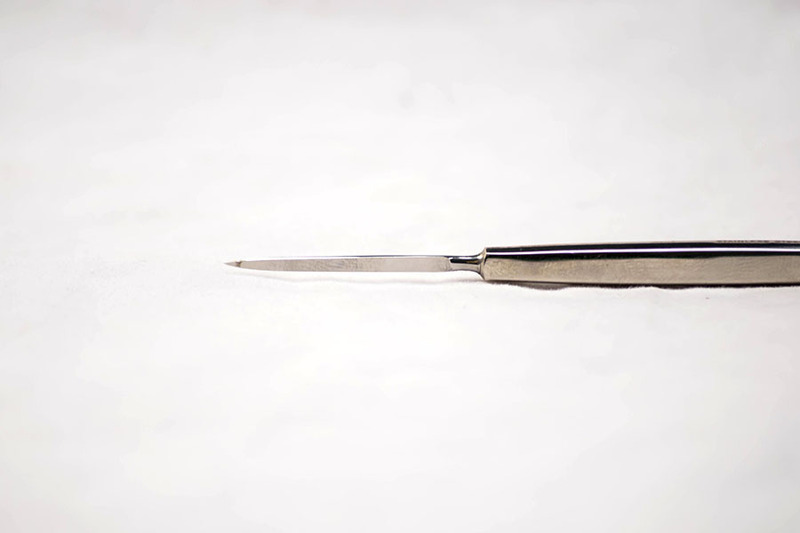 This small knife was used during a cataract operation to cut into the cornea, the outer transparent part of the eye. The knife was designed by Albrecht von Graefe, a Prussian ophthalmologist during the 1800s and manufactured by John Weiss & Son of London.